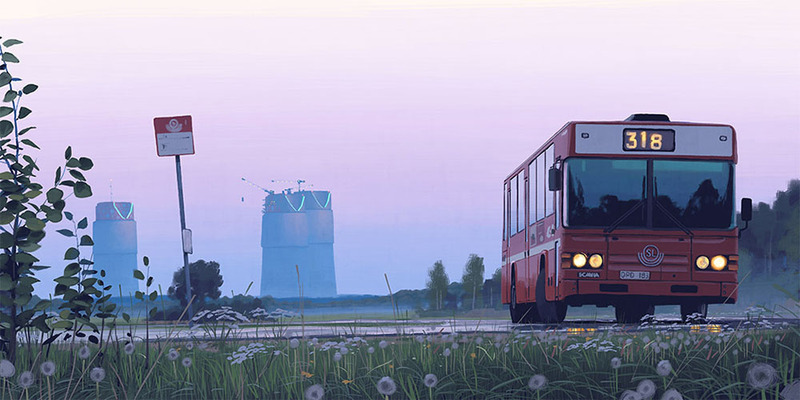 Swedish illustrator Simon Stålenhag (previously) depicts a uncomfortable collision of present and future where people much like us seem to confront a brave new technological reality. In his digital paintings children throw spears at terrifying drones, and people wander aimlessly in their yards while fully engrossed inside virtual reality helmets strapped to their heads, and sometimes there’s even a giant alien caterpillar. Each bleak snapshot is seemingly unconnected to the last but suggests a provocative story—for some reason I’m reminded of my favorite children’s picture book, Chris van Allsburg’s The Mysteries of Harris Burdick. 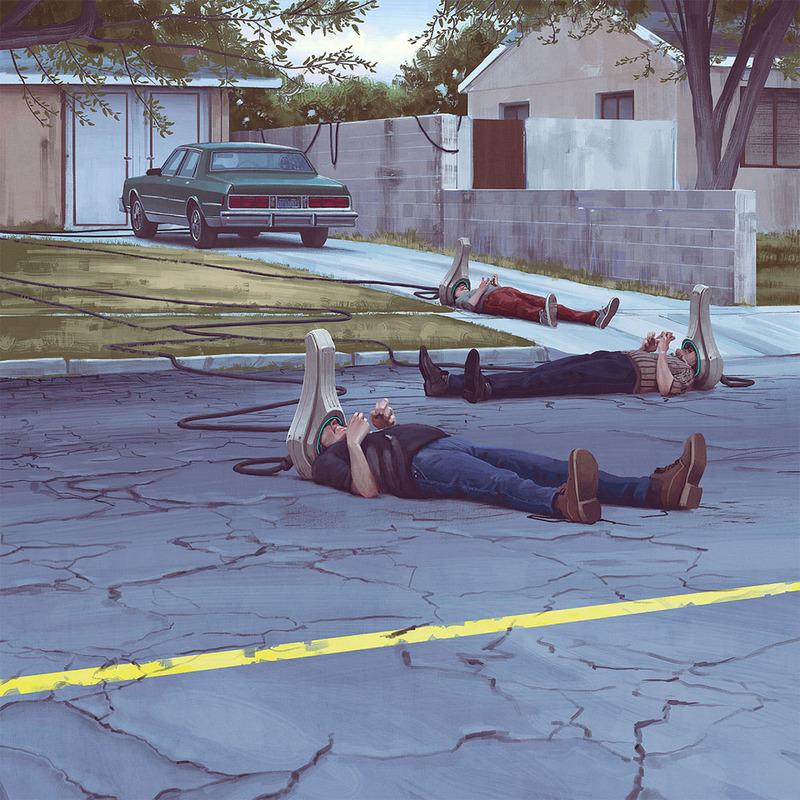 Stålenhag collected many of his own illustrations into a book titled Tales from the Loop, and many of his best images are available as prints. You can also find him on Tumblr.